NOTE: spaces are limited for this event so act early to reserve your spot. In an age when anyone with a laptop and an Internet connection can be a publisher, dealing with the news media--either to get coverage or respond to controversies involving you or your firm--has never been more difficult. Come join CEO colleagues to learn tricks of the trade from the professionals and see firsthand the inner workings of one of America's most dynamic news operations. We'll meet promptly at 5:45 pm in the lobby of the New York City headquarters of Bloomberg News. Then, following a lively mingling reception over refreshments, you'll hear from a panel of top experts on topics ranging from how best to generate positive coverage, to what to do when the news is... well, bad. 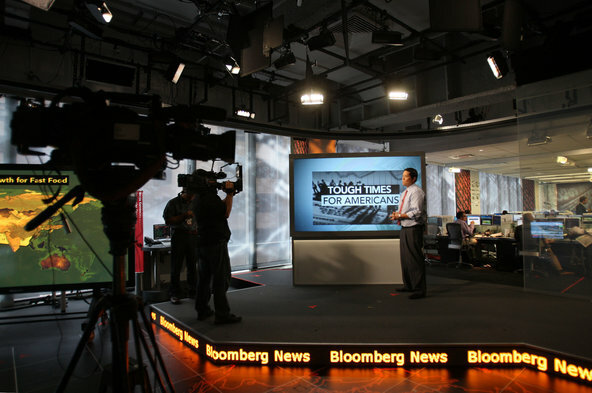 We'll conclude our evening with a private, behind-the-scenes tour of the Bloomberg News Room, and its magazine, online, television, and radio operations, conducted by Bloomberg Editor at Large, Carol Hymowitz. Deborah Brown is a partner and managing director at the strategic communications and marketing firm Peppercomm in New York City. Deborah joined Peppercomm in 2000 and has more than 25 years of PR and crisis communications experience. She oversees a number of accounts, from Fortune 500 corporations to startups, acts as a media strategist across the agency, and manages Peppercomm’s Research and Insights team as well as the Comedy Experience program. Prior to Peppercomm, Deborah was SVP with Technology Solutions/Mindstorm Communications for 10 years, primarily working on Sony and IBM. Before joining Technology Solutions/Mindstorm, she supervised a varied group of accounts at HWH Public Relations, was the director of PR for the nonprofit organization Bide-a-Wee Home, and handled PR and advertising for a real estate firm. Deborah is an adjunct instructor, teaching public relations, at the Stern College for Women at Yeshiva University and guest lectures on public relations at the Fashion Institute of Technology and Baruch College. Deborah was previously on the advisory board of the New York Technology Council and a member of the board of directors for the American Lung Association of NY. In 2012, Deborah was named Account Director of the Year from PR News and was selected as a bronze winner of the 2012 Bulldog Stars of PR Awards for Agency Professional of the Year. She holds a BS in communications from Ithaca College. Carol Hymowitz is known throughout the US and international business community for her writing, editing, and speaking about leadership and management issues. As Editor at Large at Bloomberg, Carol frames big ideas and writes about the people shaped by them for Bloomberg News and BloombergBusinessWeek. Previously, Carol launched the quarterly magazine Forbes Woman and ForbesWoman.com, a site for executive and professional women. She spent most of her journalism career at the Wall Street Journal, rising from a reporter to a senior editor and columnist. There she also led management coverage, which included supervising writers in several US & overseas bureaus. Carol’s award-winning In The Lead column for the Journal explored the biggest challenges facing executives across industries. She also launched and edited the Journal’s “Women to Watch” coverage and convened annual “Women to Watch” conferences, featuring senior executives. A frequent speaker, panelist, and moderator at conferences, Carol has also appeared as a commentator on CNBC, Fox, and other media. She co-authored A History of Women in America (Bantam Books), which has sold more than 300,000 copies. Carol has a BS from Brandeis University and an MS in journalism from Columbia University.